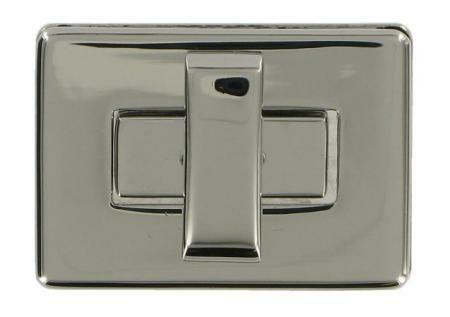 Turn Lock for handbags 41mm x 30mm. This replacement Large Turn Lock is quite common in flap over handbags. It is nickel coloured. Supplied with screw on backplate. Dimensions of female section are 38mm x 28mm.